YouTuber who is known for his NOVRITSCH channel. He has gained popularity there for his videos of scripted scenarios alongside friends that feature his skill as an airsoft sniper. He served as a scout sniper in the Austrian military. He began his YouTube channel on February 7, 2012 and posted his first video there on October 3, 2012. He has garnered more than 3.7 million subscribers to his YouTube channel. 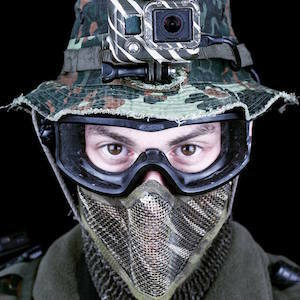 One of his most popular videos, "Airsoft Sniper Gameplay - Scope Cam - Urban Sniper 2," has earned more than 7 million total views. He was born and raised in Austria. He decided to go back to the army in March of 2017. He and fellow YouTuber Jet Del Castillo are both known for their prolific airsoft-centric channels.